The symbol system of the Tarot can elicit curiosity, wonder, fear, intrigue, and superstition, among other responses. Attitudes about these images range from reverence to hatred. 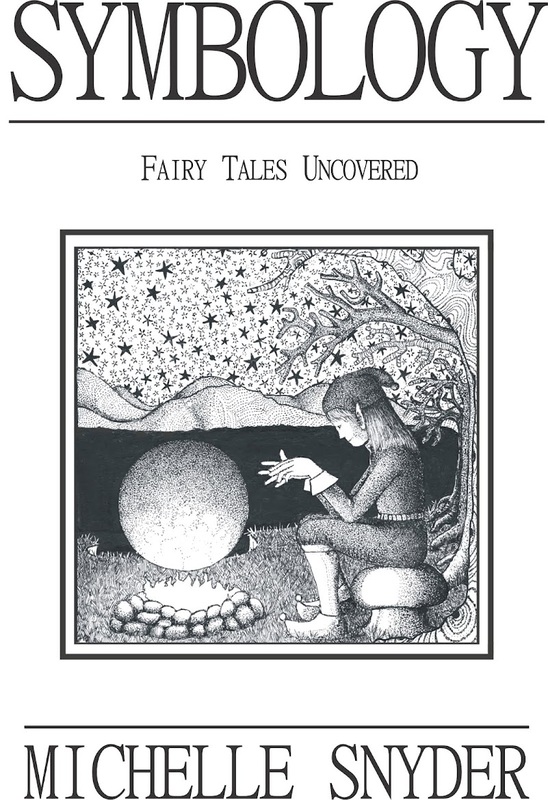 Sometimes referred to as the Devil’s Picture-book, common opinions are that the images carry esoteric knowledge, forbidden or suppressed information, or hidden history. Other names for the Tarot were the Bible of the Gypsies, the Encyclopedia of the Dead, and the Perpetual Almanac, names that imply information. The belief that there is a connection between the Tarot and witchcraft has lingered. Attitudes like these have followed the Tarot through the centuries. The first reference to the trumps of the Tarot was in a sermon by a Franciscan Friar in the 1400’s, who contended that the trumps were invented and named by the Devil. Cards in general are considered a vice. In The Devil’s Picturebook, Paul Huson writes, “In medieval Europe everyone knew that cards, apart from simple gambling, were used for telling fortunes, a dangerous activity. Worse still, lurking within the cards are devils disguised as kings and heroes.” Some hold to this attitude even today. The Tarot seems to hold a special place among those who deem cards sinful. Fish are symbols of wisdom; the Page of Cups sits ready to learn the wisdom of the ages. Alluring and colorful, the images on Tarot cards have been carefully crafted. What is written about their history varies, and there is little consensus about their origin. The mystery surrounding Tarot cards adds to the belief by some that they are evil, magic, and dangerous. For others, this veil of obscurity is a result of secret powerful knowledge which can be accessed only by initiates. The images of the Tarot are said to contain surviving lore of the Order of the Knights Templar. Troubadours of the Middle Ages carried Tarot cards and used them as part of their entertainment, to preserve and pass on “heretical” philosophies of the Grail. Many believe the pictures on these cards contain information and secrets protected from the Roman Catholic Church, preserved in a series of symbolic images. This prompts another query. Perhaps the history of the cards is absent because it was suppressed or destroyed? This would be in line with the fate of much knowledge in our recent past. The mysterious history of the Tarot is connected with The Book of Thoth, ca. 3000 BC, a book credited to Hermes Trismegistus. Hermes is another name for Thoth, the Egyptian god of wisdom, learning, and literature. Duncan-Enzmann contends that this esoteric tome was developed from knowledge recorded by the megalith navigators working at Lixus, Nabata (Sudan), and Byblos around 4200 BC – knowledge that dates back at least 8000 years during warm Atlantic centuries. The Merovingian Vanir women recorded their astronomical observations, as well as the math and geometry needed to calculate longitude, on stone, bone, and ivory. 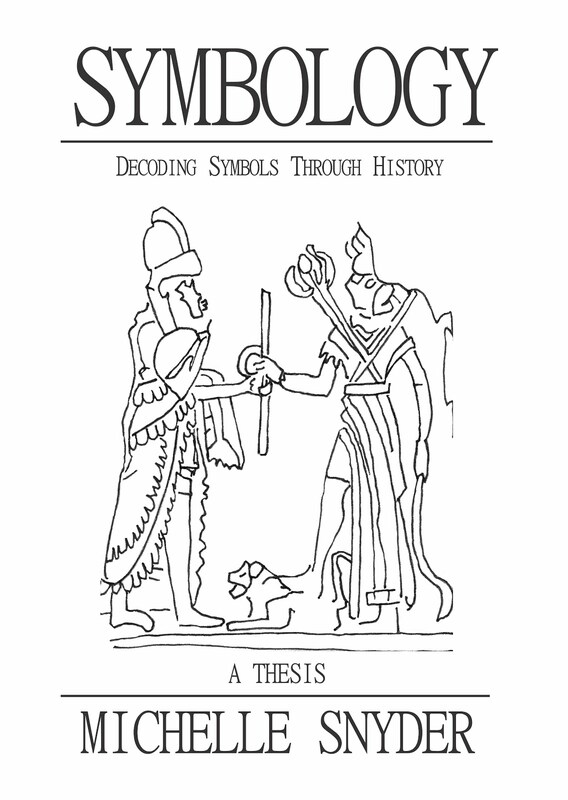 This knowledge was passed on through oral tradition and symbols. Many of these long-ago images have survived suppression as well as natural deterioration. Sadly, the underground stream of oral tradition was shattered along with the burning of libraries like Alexandria, when teachers, scholars, and authors of scrolls were murdered. 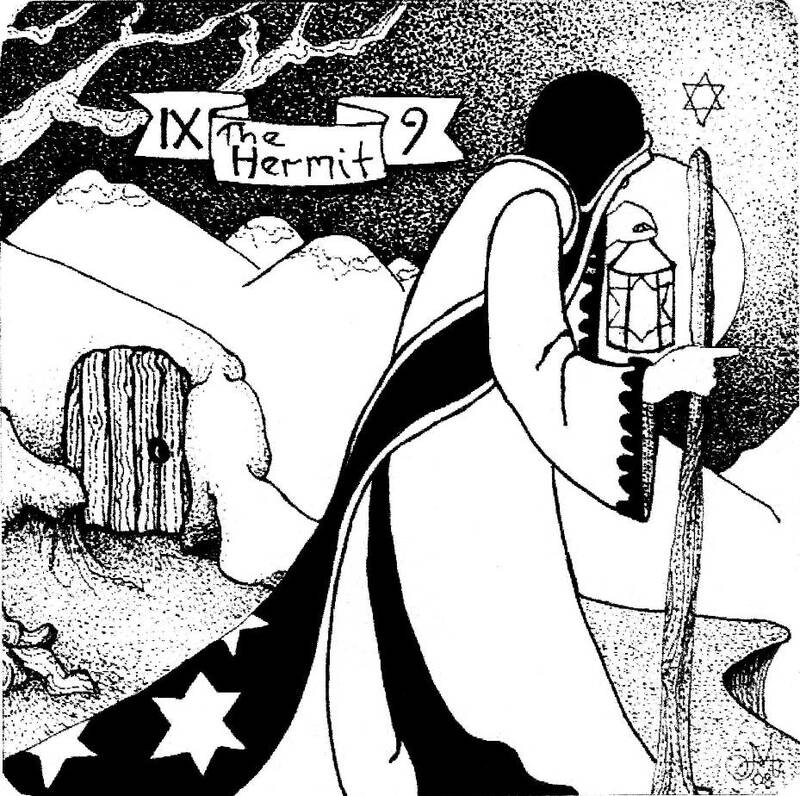 We must reconstruct the key to these images in order to piece together the history of the Tarot. 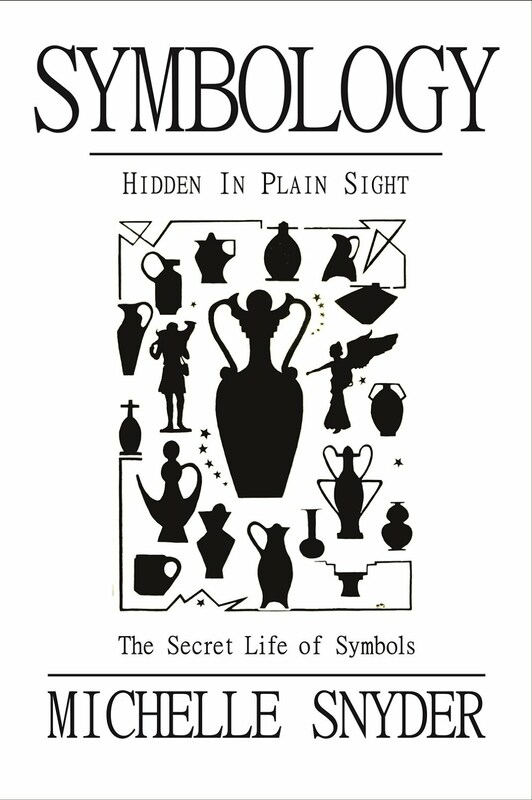 To do this we will study the symbols, comparing them to others used throughout history. 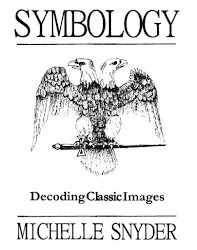 Comparative symbology is an effective way to decode images and discover their origin. One comparison is of the card Strength. Imaged correctly as a female and a lion, this card carries the same information as the Sphinx: that of the Great Year at equinox. Many images on the Tarot cards are of the sun, moon, and stars. Many more also have astronomical significance but are not as readily recognizable. The sun is the oldest image known. The blonde child on this card represents the Sun Child of the Vanir from ca. 12,500 BC, later known as the goddess Helen. The Moon card depicts two pillars, a symbol which dates back tens of thousands of years to the tools used for measuring movement of planets, sun, moon, and stars. The star in the Star card is eight-pointed, a symbol of the Venus clock indicating her eight-year cycle. The seven smaller stars represent the days of the week, a division of time. 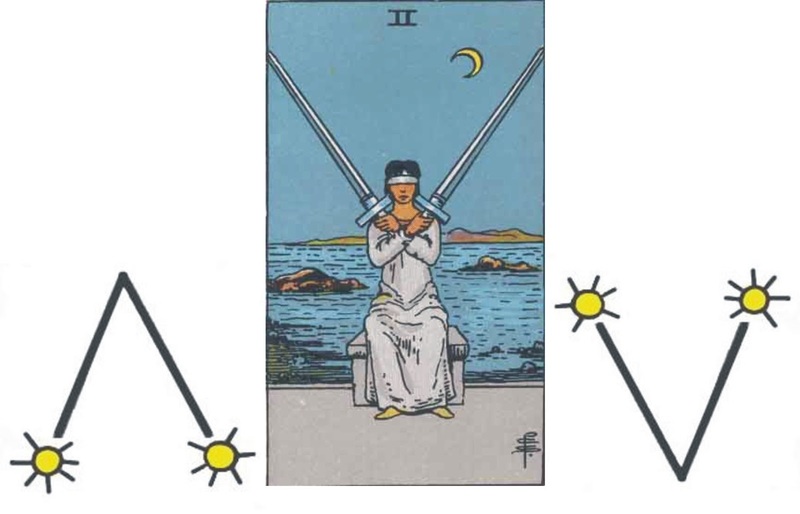 Another symbol that is part of many cards is the “infinity” symbol, which derives from and represents the analemma, a symbol relating to the position of the sun and the equation of time, which appears above the female’s head on Strength, above the magician’s head on The Magician, and on other cards. The Magician wears an ouroborus belt, symbolizing eternal cycling of substance and inanimate matter. 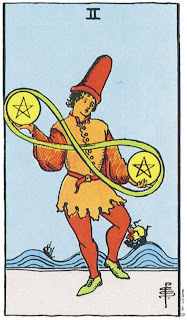 The Rider-Waite Two of Pentacles (shown) decodes as a solar, lunar, and stellar year. The pentacle represents time, the Venus clock of the Vanir navigators by which we set our modern clocks until the 1970s. Tarot cards connect strongly with astrology and astronomy, which encompass a wealth of information both as exact science and art. Transmitting mathematical precision and interesting descriptions of the fascinating events in the sky demands accurate recording. How was this done, then, before written records? Even with them we have a hard time maintaining accuracy and consistency. Let us consider how astronomy was taught once upon a time, long, long before written language. In these long-ago classrooms, 14,500 years ago, most teachers were women and most students were girls. Lessons were likely recited, perhaps as rhymes chanted and sung. Imagine how these songs would be elaborated upon as they were repeated over the centuries. Visual aids were used: pictures and symbols, dots and lines, signs and patterns. All on stone, bone, ivory, ceramics, and bast; small and easily handled, like flash cards or playing cards. For thousands of years these lessons were taught by oral tradition, handed down using stories, songs, and pictures. The grand stories of the zodiac were repeated, pictures created, and astronomy developed. The ancient mariners of the Atlantic had skilled female navigators. They were masters of astronomy, wind, and current. 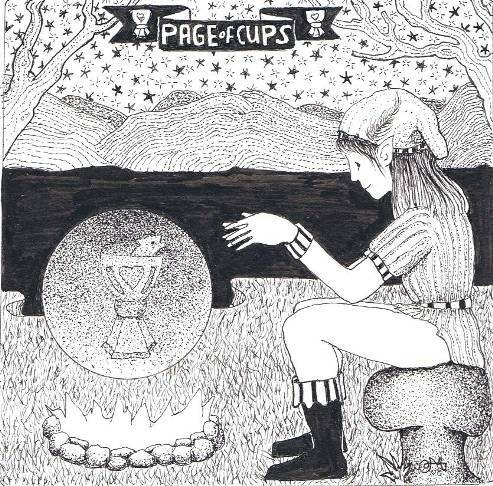 Knowing time to the second is necessary on the high seas – the Ace of Pentacles symbolizes the ability to do this using the Venus clock. The association of wealth to pentacles is logical, considering that being able to calculate longitude - time and location - with Venus allowed trade and defense at sea, both necessary for successful commerce and defense. Hermes’ Emerald Tablet is known for the phrase “as above, so below.” Many interpretations are in the spiritual and metaphysical realm; perhaps here I can offer a more pragmatic translation: If you know the stars above, you will know exactly where you are on Earth below. Over thousands of years megalithic observatories were constructed; a great continental utility built to support care for women and children, facilitating agriculture and navigation. Today we have continental utilities like electric power plants. The construction of these observatories required that measurement be standardized and transmitted over great distances with accuracy, and a method of teaching how to measure the heavens and divide circles was needed. We can see some of these lessons in the symbolism of the Tarot. The suit of wands or scepters represents obelisks, menhirs, and ashera rods, tools used to site and measure the movement of the stars to divide time, and to survey the ground for construction of an observatory. 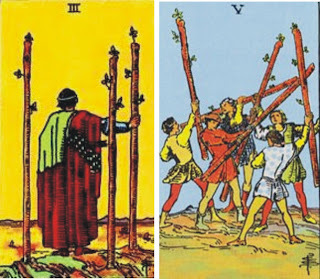 The Three of Wands represents the triple tau. Tau is a symbol indicating perfect horizontal and vertical necessary to measure a star’s height from the horizon: the T of the Tau is made of a horizontal line and a vertical line. 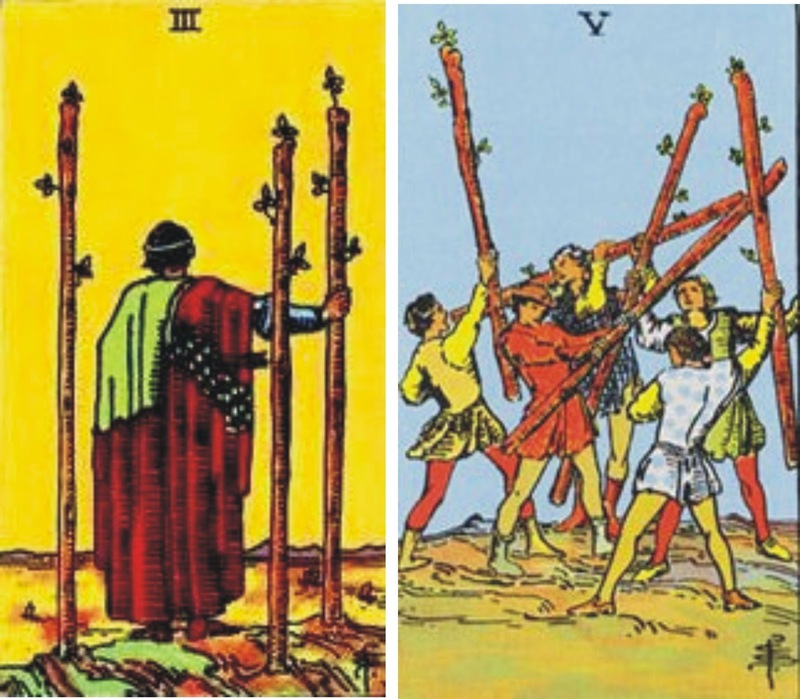 The Five of Wands depicts dividing an angle by five, a function of the Venusion clock. One card with ancient roots is the Two of Swords, a symbol for the solar azimuth Vee – an image found in Blombos, South Africa from 77,000 BC, representing sunrise and sunset of winter solstice. Passing knowledge on to future generations has been a human challenge and activity for millennia. Tens of thousands of years ago our ancestors watched the sky and observed the repeating patterns of the stars and the movements of the planets. Star-patterns were connected to events on earth and recorded, allowing the development of seasonal agricultural calendrics which greatly improved the quality of life. 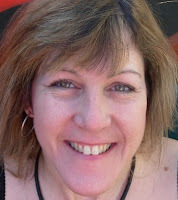 Michelle did her post-graduate research decoding ancient and prehistoric symbolism, and mythology, folklore, and fairy tales, at the University of Wales. She is an author, publisher, speaker, artist, and teacher who has been teaching art and visual language skills for 40 years. Her artwork, inspired by her love of symbolism and folklore, has appeared in galleries from Massachusetts to California. Michelle is co-owner of White Knight Studio. Hello! I followed your website from your post on a thread I started about an item I found in an antique store on Lunatic Outpost. I couldn't find your email add so I am leaving you a comment here to thank you for your input and for your very detailed insights! You pointed out many things I hadn't noticed. I look forward to hearing from you if you uncover anything else about the piece! Much obliged! Good post, I did not know much about tarot cards and I found the information very interesting. I agree with you how it could be fun to do, but when someone starts to exploit it to make a profit on the unsuspecting public it can have horrible implications. love career.